The LEGO Company approached me a few months ago about helping them re-do the big LEGO display at the Times Square Toys R Us in New York City. Alongside the famous landmarks like The Empire State Building and the Statue of Liberty, I suggested adding some local flavor by including buildings that New Yorkers would appreciate, while still being familiar to tourists and visitors from out of town. 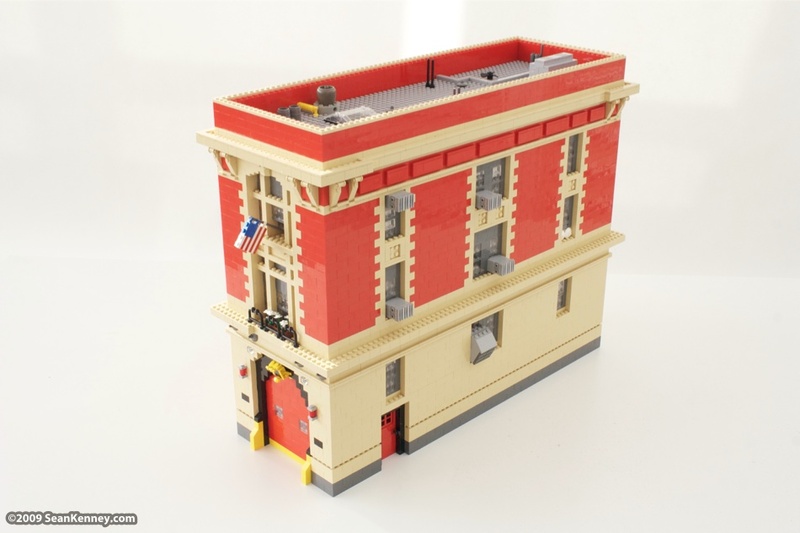 The first addition was this building, a classic New York City firehouse. 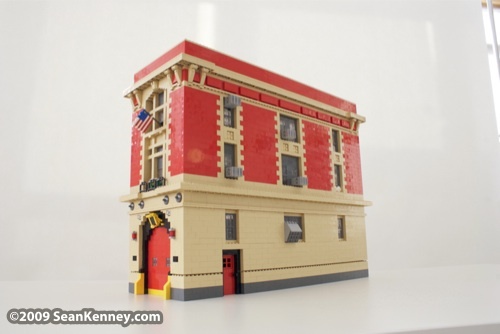 And if you're going to do a firehouse, why not the famous New York City ladder 8, one of the more well-known firehouses in the city after being featured as Ghostbusters headquarters in the classic 1980's movie "Ghostbusters". 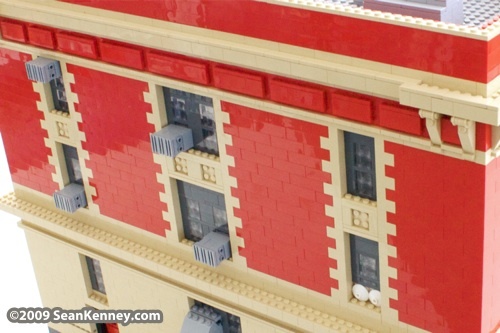 This building is kindof sortof 1:20 scale (LEGOLAND miniland scale) but also kindof sortof to mini-fig scale. Really it's just meant to look roughly accurate next to the 20' tall Empire State Building that's displayed at the store. 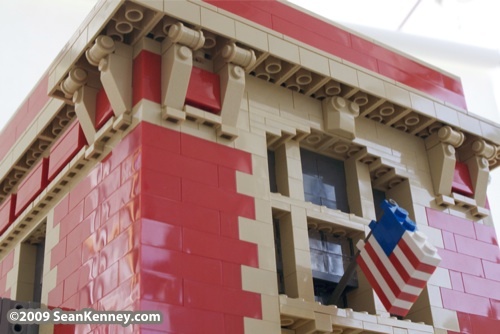 My favorite details are always the little touches, like the roof equipment, the flower box, and the flag out the front window. But I think my favorite little detail on this model (and I don't know why) is the little white dual fan sitting in one of the windows. 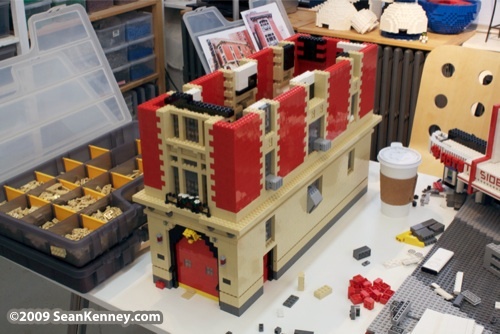 I was looking at photos of the real firehouse when building the model, and there was one of those fans in the window, so I thought "It has to go in the model!" :) Those little fans are one of those things that we all recognize but never really acknowledge or think about as being there when you think back to it later.